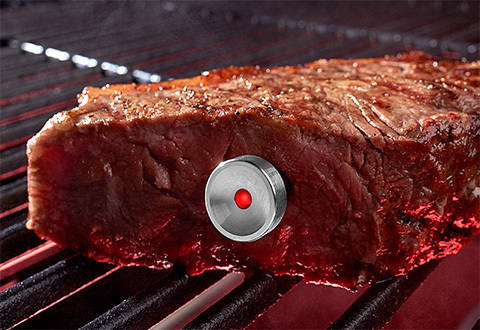 Make perfect steaks every time with the Intelligent Steak Thermometer. 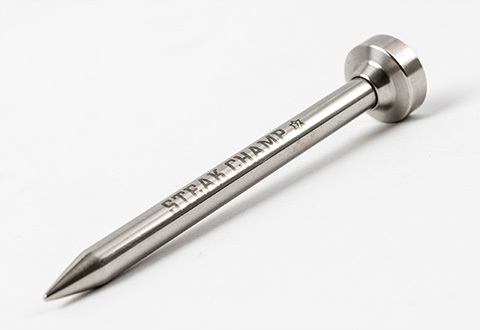 Simply insert the cordless stainless steel probe into your raw steak and place it on the grill. The color-coded LED light tells you when your steak is ready: green=medium rare, yellow=medium, red=well. 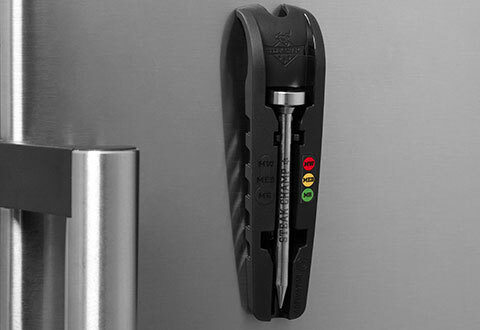 Ideal for beef, game or fish, this thermometer has a built-in battery designed to last 20 years. 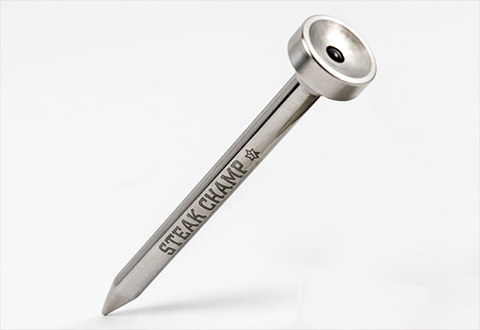 The Intelligent Steak Thermometer makes it easy to grill your steak to perfection. Just insert it into your steak and watch for the colored LED lights!